Mac’s Motor City Garage explores another pivotal year for the American auto industry: 1929. The year 1929 was notable from a number of angles. First, it marked the founding of the market segment that came to be known as The Low-Priced Three: Ford, Chevrolet, and Plymouth. In the years to come, these cars would often hold the top three slots in total sales as well. Henry Ford’s replacement for the Model T, the all-new Model A introduced for the 1928 model year, was plagued with development problems and running production changes throughout its first season. 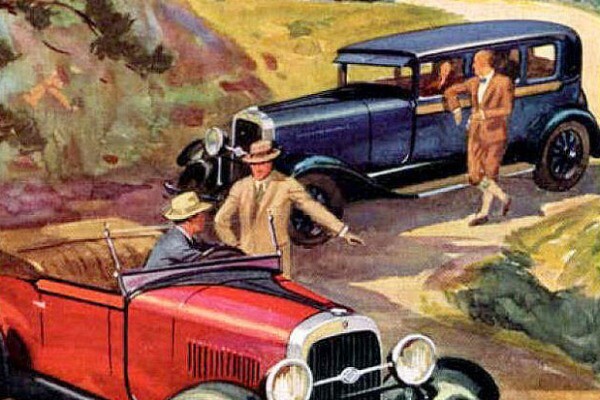 But once the bugs were sorted out, the new Ford sold over one million units in the first half of 1929 alone.